LA-based indie rock group Princeton occupies sound with an intoxicating intellectualism on the new album, Remembrance of Things to Come. Lead singer Jesse Kivel often uses his angelic falsetto that is more prominent on some songs than others and it is hard not to adore. On the album’s title track, his upper range vocals are surrounded by churning violins and a pulsing bass drum. The urgency of acoustic strings against quickened, palpitating beats creates a constant hypnotic oscillation and that is one of the album’s many assets. “Florida” begins with an up-tempo giddiness and all too well portrays what it feels like to want to escape and fly off to bigger dreams while stuck within the confines of a lackluster job. Kivel sings, “No one at the office can bear to look me in the face/I wonder why I ever came here and how I lost my faith this morning.” Between the layering of instrumentation and the elegance of Kivel’s vocals on songs like “Oklahoma” and “To The Alps” and with such tight rhythmic grooving, it is hard to not consider the album indie pop. 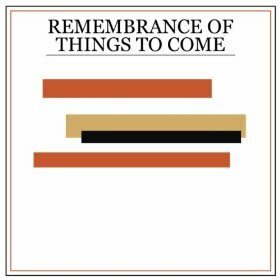 Bright, sonically artistic and buoyant, Remembrance of Things to Come is the perfect summer album for optimistic plans.